We understand that flexibility is essential for our members. This is why we offer a range of membership options to help you work your best way. We offer packages to ensure your productivity is at it’s peak, you can attract the best talent, and have an amazing workplace culture amongst a fantastic community. For DeskLodgers looking for the ultimate in flexible working - perfect for freelancers, unhappy commuters and remote workers looking for a productive alternative to coffee shop working. Also loved by teams looking for a productivity boost who don’t need a fixed workspace. Try us 2 free days. Residents enjoy extended access. Prices displayed are ex vat and may vary per workspace. For 1-4 person teams who want a regular fix to workspace productivity. Bring your monitors, plants and other essentials to personalise your space and make it your own. Benefit from ethernet access, extended office hours, lockers, storage space, and discounted meeting rooms/virtual office services. Great for teams looking for a permanent base to set their roots and create a truly unique workspace. Personalise your self-contained office with furniture (including chairs, monitors and whiteboards), decor and branding. You will receive all of the benefits of a fixed desk and much more. Each workspace will have a mix of meeting rooms and event space, all designed with a quirky and fun theme. 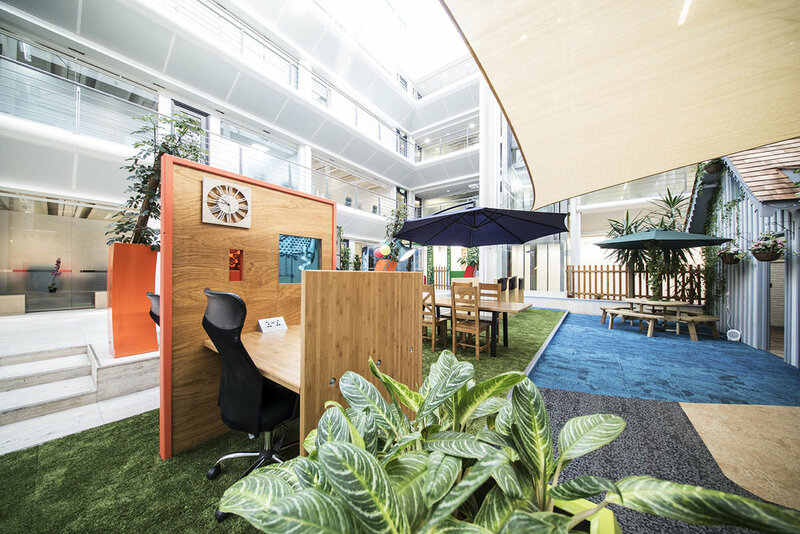 Pick a workspace to see what’s on offer.